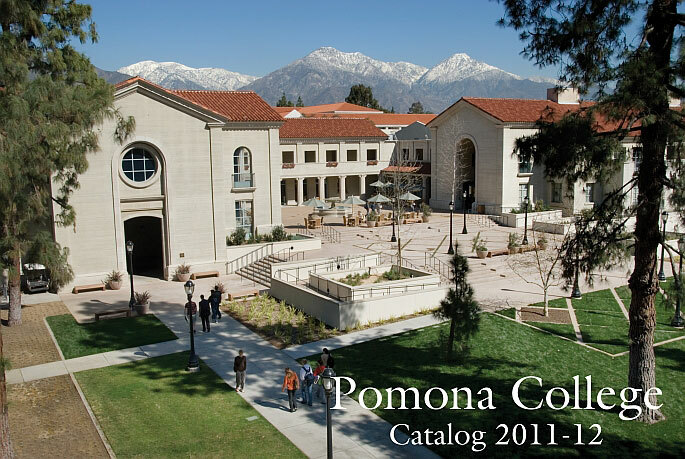 2011-12 Pomona College Catalog [ARCHIVED CATALOG] Use the dropdown above to select the current 2018-19 catalog. The catalog contains policies and program descriptions as of the date of publication and should be used solely as an informational guide. The College reserves the right to alter or amend at any time, without notice, the policies, programs, fees, schedules, etc., contained in the catalog, should conditions warrant such changes. Pomona College complies with all applicable state and federal civil rights laws prohibiting discrimination in education and the workplace. This policy of non-discrimination covers admission, access and service in Pomona College programs and activities, as well as hiring, promotion, compensation, benefits and all other terms and conditions of employment at Pomona College. Pomona College is accredited by the Accrediting Commission for Senior Colleges and Universities of the Western Association of Schools and Colleges (985 Atlantic Ave., Suite 100, Alameda, CA 94501; 510-748-9001). The WASC is an institutional accrediting body recognized by the Council on Postsecondary Accreditation and the U.S. Department of Education. Pomona College complies with the requirements of the Family Education Rights and Privacy Act of 1974, which protects the privacy of student records maintained as permanent files by the College. Pomona also complies with the requirements of the Student Right-to-Know and Campus Security Act of 1991. Information on campus security is available from the Office of the Dean of Students, and information on graduation and retention rates is available from the Registrar’s Office.